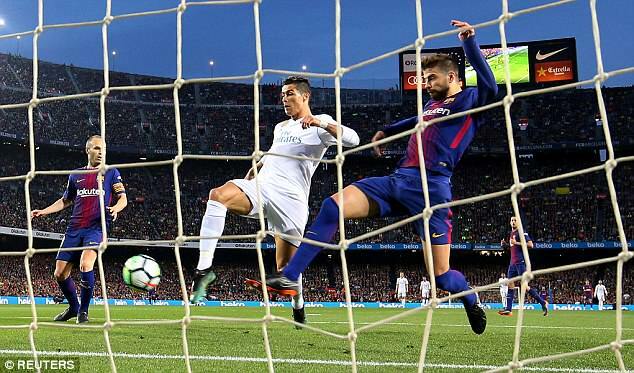 Lionel Messi and Cristiano Ronaldo‘s strikes in Sunday’s Clasico took the dynamic duo to a new combined goalscoring landmark. 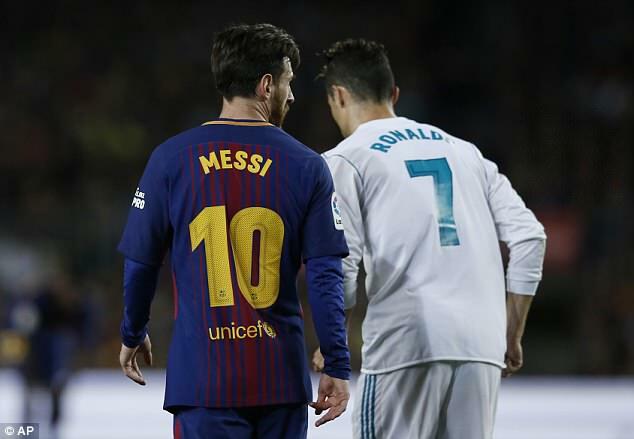 The Barcelona and Real Madrid forwards have scored 551 and 449 goals for their clubs respectively across all competitions. 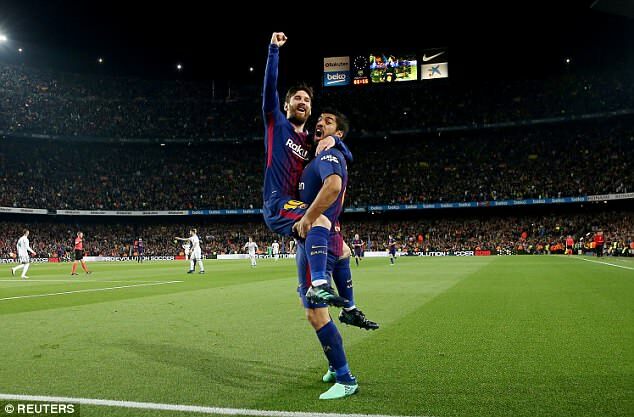 And that means that the pair have now struck 1,000 goals between them for the two Spanish giants. The strike from Messi was his 382nd for Barcelona in La Liga. He also has an excellent record in the Champions League, scoring 100, while he has hit 48 in the Copa del Rey. He has 12 in other competitions. Both players share the same favourite opponent — Sevilla. 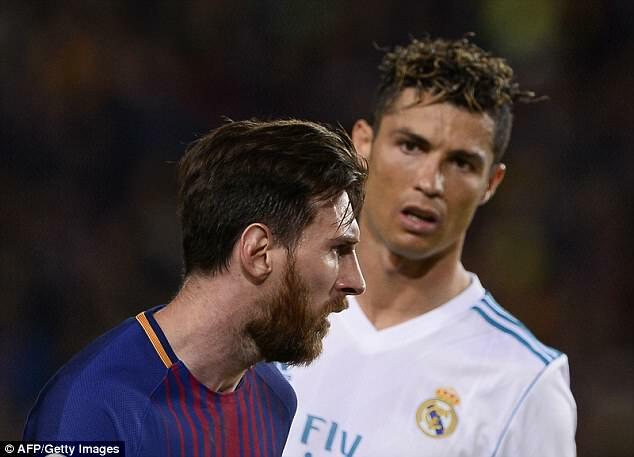 Messi has hit 31 goals against those foes while Ronaldo has 27. The Argentinian hugely favours goals with his left foot, with 449 on his preferred foot. He’s also struck 78 with his right, 22 with his head and two with other parts of his body. 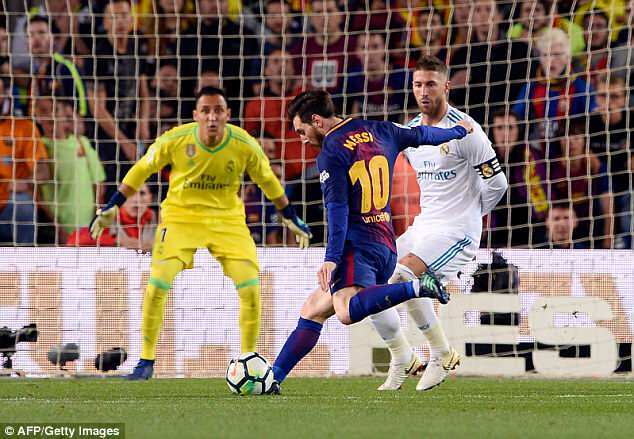 Messi reached his total with a superb dribble in the box before whipping the ball into the bottom corner past Real goalkeeper Keylor Navas. Ronaldo met the end of a cross into the area, also injuring himself in the process. 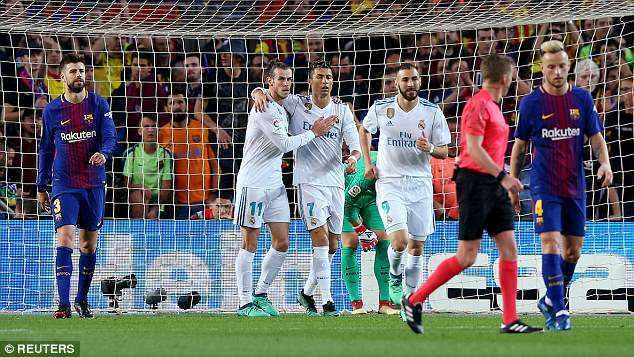 It was Ronaldo’s 310th strike in La Liga. The Portuguese forward has also struck 105 in the Champions League while with Real and a further 22 in the Copa del Rey. Ronaldo has bagged 12 in other competitive competitions for Real. Where have they been scored? What minute does Messi strike? What minute does Ronaldo strike? Ronaldo has scored 298 with his right, 81 with his left, 69 with his head and one with another body part. Neither seems particularly quelled by playing away from home. Ronaldo has 193 at other grounds while Messi has 218. They have 243 and 317 at home respectively. Dani Alves is Messi’s preferred assister, having provided 42 goals for his one-time team-mate. Karim Benzema tops Ronaldo’s chart with the same number of assists. Both players have scored their highest total of goals in the last 15 minutes of matches. Messi has 138 between the 76th and 90th minute of games. Ronaldo has struck 99 in that same period. After Sunday’s injury, Ronaldo has insisted he will be fit in time for the Champions League final against Liverpool on May 26.